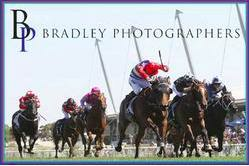 Kim Waugh Racing Stables :: Celer Indicates He is Ready to Hit the Track following Easy Barrier Trial win! Celer Indicates He is Ready to Hit the Track following Easy Barrier Trial win! Celer, winner of 2 from 8 starts indicated he is well on target to head to the races now, following his 10 1/2 length trial win at Gosford on Tuesday. Sent straight to the front by Serg Lisnyy the son of Excelebration increased the tempo from the 600m and kept increasing as he worked to the line. He will be nominated for a C2 over 1200m at Gosford next Thursday with Blake Shinn booked for the ride. 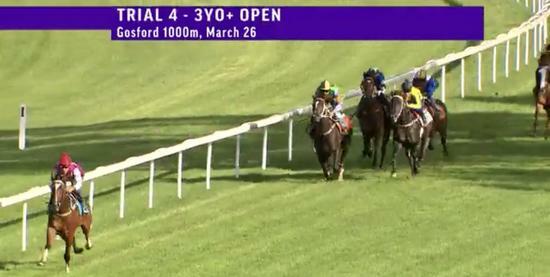 From the 2yo debut triallers, Atherton stood out when finishing 2nd in his heat. The son of Written Tycoon will trial again at Newcastle next Friday.